Be open and honest: You can develop a good relationship with clients' families by always being open and honest about your plans and care for their loved one. Be sure to explain what and why you're opting for a certain exercise method or other programs. It's also helpful to be willing to answer any questions that family members might have. Remaining honest will build a solid foundation of trust. Include the family: If you're planning a music lesson, therapy pet visit or arts and crafts session for your client, invite his or her family members to join in. 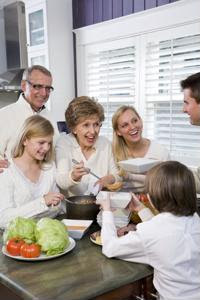 This allows the family to see first-hand the sort of care you're providing as well as how the client interacts with you. As a bonus, they'll get to spend a fun day with their loved one! Be respectful: Whether you're discussing a care option or having a disagreement, it's always important to be respectful of the family members. It's natural for them to worry about their loved one, so they may question or voice concerns. Respectfully explaining your thought process or working your way through an argument allows the positive relationship to continue.